Buy Spike Tactical Havoc Side Loading Launcher 9" |ReplicaAirguns.ca | Easter Weekend Sale! The Spike Tactical Havoc BB launcher is a high quality and affordable full metal launcher. It features the latest in design and manufacturing technology. 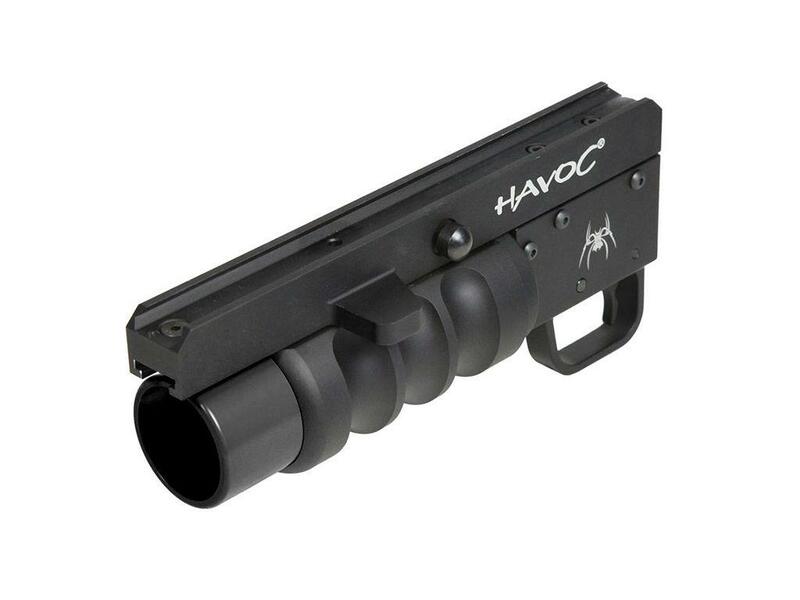 The Havoc launcher is designed to be either rail mounted or mounted to a separate standalone unit. It simply requires sliding the launcher onto the bottom rail of the hand guard and tightening two set screws which are included. Its full metal construction makes it extremely durable.